It’s almost time for turkey, football and family! If you are heading downtown tomorrow morning for the Ameren Missouri Thanksgiving Day Parade you can avoid the hassle of traffic and parking by taking Metro. 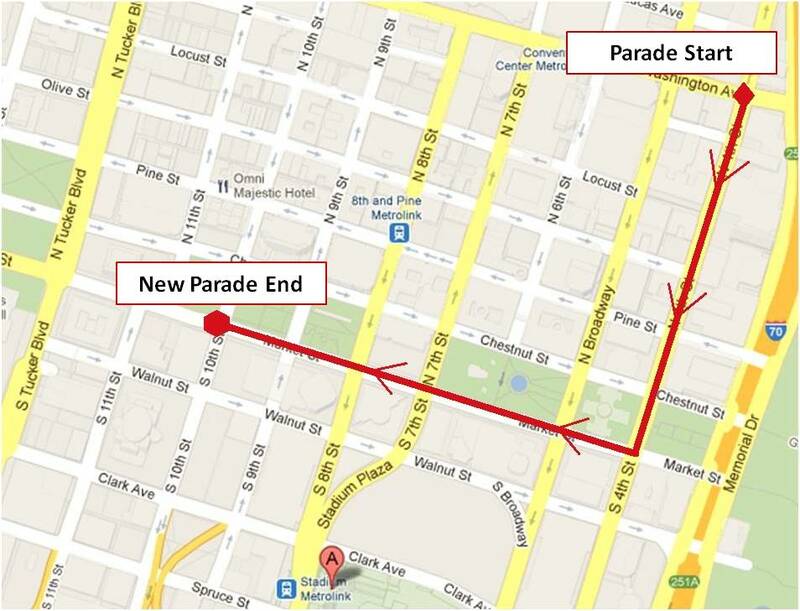 The Parade starts at 8:45 a.m. at N. 4th Street and Washington Ave. It heads south on 4th and turns west down Market. The parade concludes at Market and 10th. Tonight, the #40 Broadway MetroBus route will be rerouted at 6 p.m.. Several other routes will be rerouted starting early tomorrow for the parade. 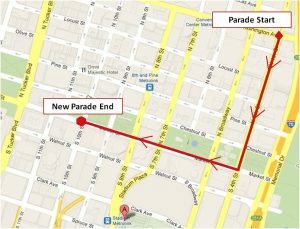 Despite the reroutes, MetroBus is still a great option because the reroutes will still get you within a few blocks of the parade. MetroLink is also a good alternative to driving. Just hop off at any of four downtown MetroLink Stations—Stadium, 8th & Pine, Convention Center, and Civic Center. For information on bus routes click here and to plan your trip click here. This parade is the BIGGEST waste of time and money. Thanks GOODNESS that finally NBC (local KSDK) stopped interupting the NATIONAL Macy’s Day parade for this low-rent, people walking while talking on their cell phones, toilet papered wrapped autos. Really – it is THANKSGIVING. Who participates and who actually would spend their Thanksgiving holiday watching a few people drive by?